Sciatica is a condition that is characterised by pain going down your leg from your lower back. The pain may go down your back, outside, or even the front of your leg. Onset is usually sudden following activities such as heavy lifting, although gradual onset may occur as well. Usually, sciatica affects just one side of your lower body. Most of the time, the pain travels from your lower back through the back of your thigh and then down through your leg. Also, the pain may reach your toes or foot. For some people, the pain might be irritating and infrequent, but it can worsen. • Degenerative disc disease (DDD) affecting the discs cushioning the vertebrae. Additional irritants: sleeping on a mattress that’s too soft, high heels, not exercising regularly or excess weight. Sciatic nerve compression may lead to insomnia, paralysis of a group of muscles or a single limb. A chiropractor examines you and reviews your medical history to determine the cause of your sciatica pain. Chiropractic care is typically based on the theory that restricted spinal movement results in reduced function and increased pain. Chiropractic care can aid your body to heal itself with non-surgical (non-invasive), drug-free treatment. 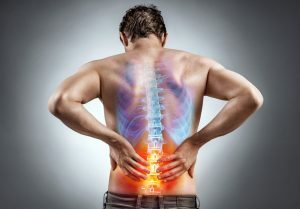 What Are the Sciatica Treatments That Chiropractors Use? Interferential and Laser – These therapies help reduce pain, stiffness, swelling, cramping as well as muscle spasm and increase circulation. Ice/Cold Therapy – It reduces inflammation plus helps control sciatic pain. Spinal Manipulations (Spinal Adjustments) – Spinal adjustments and manipulation frees your spine’s restricted movement and helps in restoring misaligned vertebral bodies back to their proper place in your spine. The techniques of adjustments vary from a quick high-velocity thrust to the ones that combine gentle pressure and minimal force. Mastery of each of these techniques is an art that needs precision and great skill. Spinal manipulation is basically the treatment that separates chiropractic care from the other medical disciplines. If you are looking for an Ealing chiropractor, you can visit Neuroworks Chiropractic Clinic; where all our chiropractors have expert training and a keen interest in neurology. At Neuroworks the chiropractors have a special interest in neurology and nerve compressions and can refer for MRI scanning within days if required. We work with spinal orthopaedic and neurosurgeons and should the portion of the sciatic nerve be overly compressed and risk long term weakness in the leg a timely referral will be recommended.